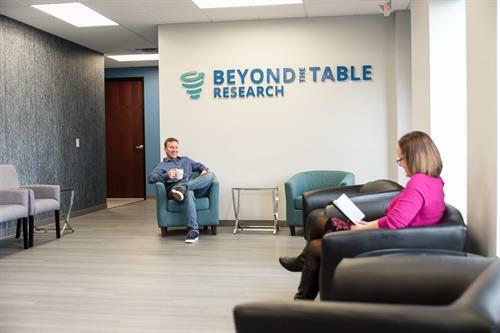 Pittsburgh, PA is the “City of Champions,” and we strive to continue that excellence with our Beyond the Table Research facility. 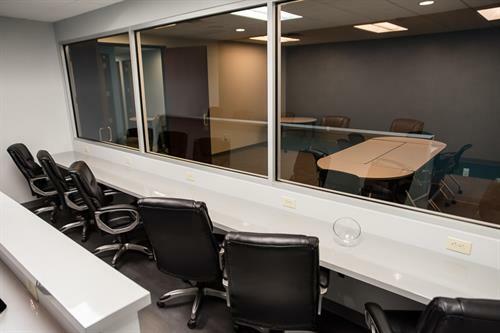 This state-of-the-art facility has three spacious rooms, two with two-way window paneling for viewing, and a conference room to debrief and create new ideas. All room come equipped with the latest technology for recording discussions; we can live stream meetings and also send you a digital version right after. 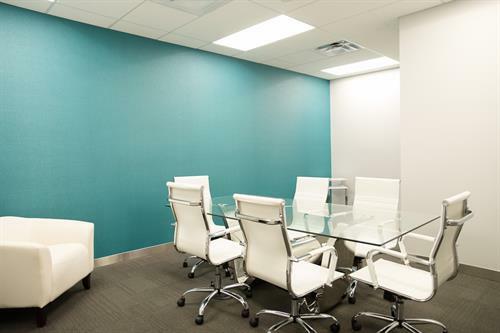 Couple this with a convenient location off of I-79 and the best amenities around, and you’ll have an excellent option for your next research project! 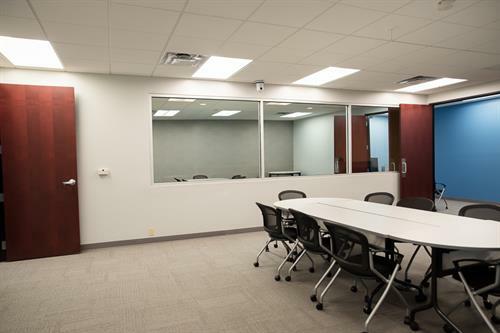 Facility Features: Free parking, ground floor access with double doors, bright, spacious, clean, and inviting facility, modular tables for custom configurations, research viewing areas, two-way mirror observation, air conditioning, and disability access to building. Technology includes: audio recording, wireless internet, video recording and live streaming, 4K Ultra HD TVs, and video and web conferencing.